Jon Bowen, Lecturer in Small Animal Behaviour at the Royal Veterinary College, recommended building a cat-servatory with plenty of opportunity for climbing and hunting. He said: “A properly designed cat patio could be a good way to provide added stimulation for cats that would otherwise be kept indoors. Cats living entirely indoors in a small urban apartment or house is a recipe for frustration, conflict, stress and behavioural problems. A cat patio could really help, especially in multi-cat households, but only if the space is dedicated to providing the cats with additional activities. Cat experts say catios can serve important functions for cats, beyond simple exposure to the outdoors. Catios provide entertainment and exercise, especially if they are outfitted with climbing structures. “They’re happier, like any of us, when they get a little exercise. They’re less stressed,” said Kellie DiFrischia, co-director of Columbus Dog Connection, an East Side rescue shelter for both dogs and cats. “It’s visual stimulation. It’s really invaluable. Ask the owner of an outdoor cat why they let their pet come and go and they’re likely to tell you they have no other choice — the cat makes the rules, and they simply comply. But that convention might be changing in the wake of consistently troubling city of Toronto data about the number of cats that are found dead every month. Some owners are convinced they’ve found the perfect solution to keeping their furry family members both safe and outdoors. It’s called, ahem, a catio. The basic idea is to build a frame-and-wire enclosure that opens to a window or door in a home. From there, cats can let themselves in and out, but will not be able to roam beyond the enclosure boundaries. Catios come in all shapes and sizes depending on the space owners have available — from backyard playgrounds to balcony hideouts. 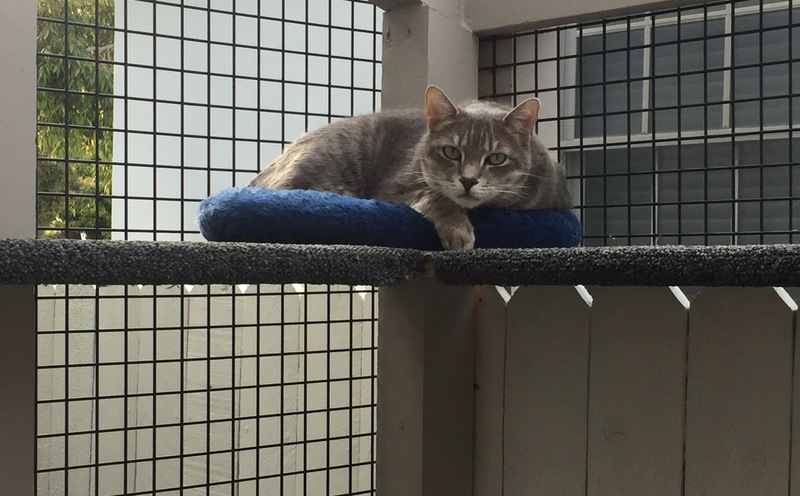 Angelenos should contact us when ready to get on the catio train!